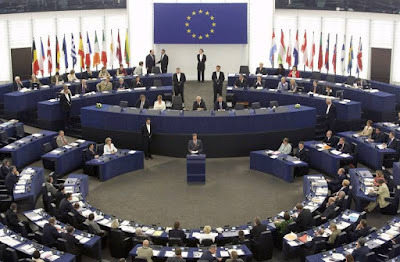 BRUSSELS, Belgium -- The European Parliament postponed for a second time on 10 November, a vote on a resolution seen as hostile by the authorities in Kiev. MEPs told EurActiv that in order to counter the resolution, Ukraine was applying lobbying techniques that were "very similar" to those of the Kremlin. For the second consecutive session, the European Parliament has postponed its vote on the resolution, originally initiated by the centre-right European People's Party (EPP) group, which in its early version voiced concern about "the rise of attempts at intimidation [and] growing undemocratic and authoritarian tendencies in Ukraine". The idea for such a resolution developed as opposition parties in the Ukrainian parliament last October condemned a court decision which strengthens President Viktor Yanukovich's control over the country by returning to him key presidential powers lost to parliament in 2004. The EPP draft expressed concern over perceived concentration of power by the new authorities in Ukraine, and also "about the increasing number of credible reports of undue involvement by the Security Service of Ukraine (SBU) in domestic political affairs, including pressure put on journalists and party and civil society activists and their relatives". In the following days, journalists witnessed heavy lobbying by the Ukrainian side, with active diplomatic and parliamentary contacts. There was a visit to Brussels by Ukrainian Prime Minister Mykola Azarov, during which Yanukovich's Party of the Regions signed a cooperation agreement with the Socialists and Democrats (S&D) group in the European Parliament. On the sidelines of the Azarov visit, a high-ranking Ukrainian diplomat told EurActiv he hoped the resolution would "never" be adopted. During the European Parliament's 18-21 October session in Strasbourg, the EPP pushed hard to hold a debate and adopt a resolution on Ukraine. The S&D group said it would vote against it, or vote for its own version: a much softer text. Finally, the S&D group won the support of other groups to postpone any vote on the resolutions in order not to influence regional elections that were held in Ukraine on 31 October. 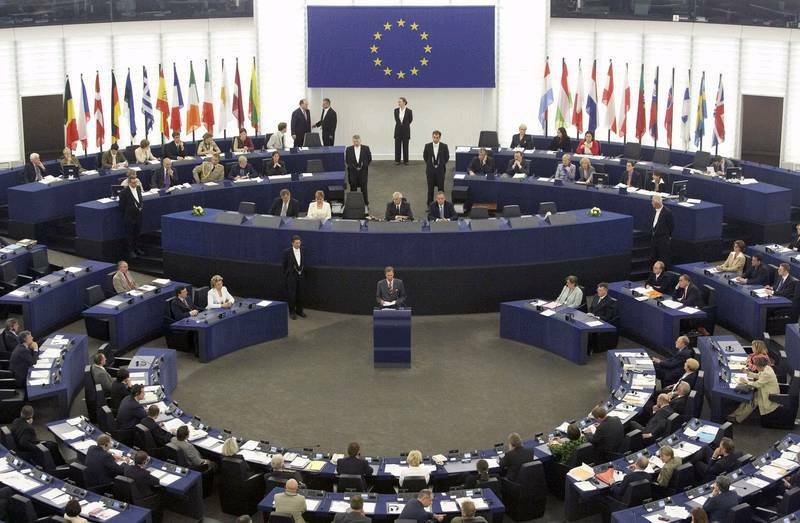 The same happened again yesterday, with the Socialists pushing to postpone the vote on a consolidated text drafted under EPP leadership and supported by the Liberal, Green and Conservative groups, which MEP Kristian Vigenin (S&D; Bulgaria), one of the authors of the Socialist version, called "unbalanced". This time, the argument was made that the vote could upset the EU-Ukraine summit, to be held in Brussels on 22 November. A majority of MEPs considered that before the vote, the Parliament should see the report by Polish MEP Pawel Kował (European Conservatives and Reformists group), who led a small group of observers to the regional elections on 31 October. Finally, MEPs decided (by 171 to 130) to put back the vote to the plenary session of 13-16 December. Members of the EPP group conceded defeat, but accused other groups of having been influenced by Ukrainian lobbying. MEP György Schöpflin (EPP; Hungary) told EurActiv that the Socialists were "clearly making whatever concessions they can to Yanukovich". "If they want to do this, fine, but it means that they are undermining their credentials in terms of human rights and democracy," he said. Schöpflin, who used to work for the BBC during the Cold War (1967-1976), said the Ukrainians had learned "a great deal from Putin" about how to handle Western audiences. "It sounds like what the West wants to hear, but actually, the content is very different," he said. Schöpflin argued that the new Kiev leadership conveyed the message that "order" in Ukraine was in the interests of the EU, in contrast with the previous instability and in-fighting the between former allies of the 'Orange Revolution'. Under Stalin, there was order too, he added. Schöpflin said that from his personal insight, he had seen that Kiev had conducted a remarkable lobbying campaign to kill the resolution. A recent visit to Brussels by Valeriy Khoroshkovskyi, the head of the SBU, could be seen in the context of this lobbying effort. On 9 November, Khoroshkovskyi, whose services are directly targeted in the EPP resolution, spoke on the record with selected journalists in a Brussels restaurant. Khoroshkovskyi said that he had been demonised by the Western media and said he hoped his meetings with MEPs would help alleviate the excitement fuelled in his words by the Ukrainian opposition. Speaking to EurActiv, Bulgarian Socialist MEP Vigenin denied that the S&D group had been influenced by Ukrainian lobbying. "We are also critical of some of the actions [of the Party of Regions]. This is a long-standing process. We shall continue cooperation if they are able to align with us, if they don't take any wrong direction. They may become a partner, but this will not happen fast," Vigenin said.